Soooooo, whoever said that getting started was hard, was a liar. Week 2 is a stinker! 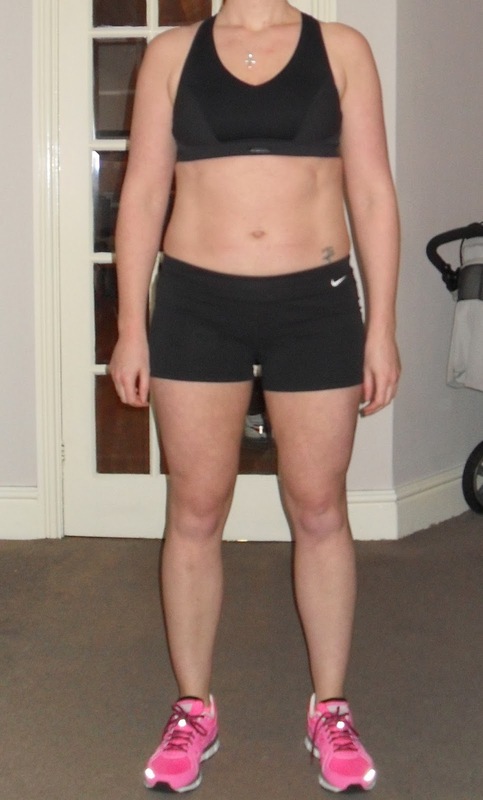 What a difference to the start of my week one post! Tigger has lost her bounce (well, I had this morning temporarily). I was going to head to the gym to go on the treadmill, but Matt said, “You’re driving all the way to Wigan for 20 mins on the treadmill” (let’s not forget this was a rest/run day so it was never going to be a massive run). He then came up with the idea of ‘just’ doing Insanity cardio resistance. 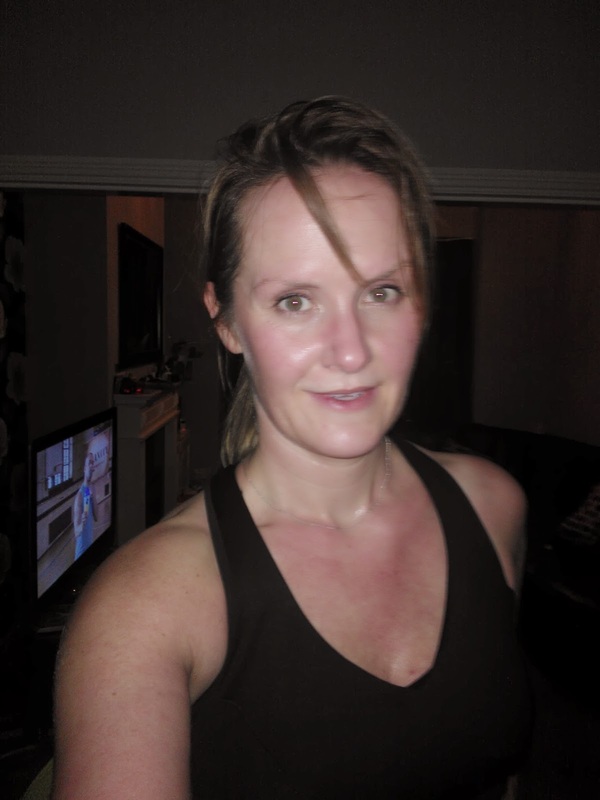 I was like YES, YES, that’s what I’ll do, it’s cardio, and it’s not getting my trainers dirty, or driving to Wigan, PERFECT… Jesus, I wish I had jumped in muddy puddles in my trainers instead after that! It was a killer. BUT I did it and Matt even congratulated me at the end (he was in the room as I was swearing for Shaun T to eff off) as he didn’t think I would finish it. Everything was hurting from the sessions the days before. But I did it! Here is the post workout pic! Saturday was Bootcamp again at Elite which again was killer but fab as always. Sunday was a well-deserved (and needed) rest day. Sunday is also round to mums for dinner and as much as it killed me, I didn’t have any of her AMAZING roast potatoes, or Yorkshire pudding, or dessert. I pretty much had meat, veg and sweet potato. So the start of week 2. Monday I decided to go back to a class I used to do. Boxing Bootcamp at St Thomas's Church Hall in Ashton. I haven’t been for well over a year but in my opinion it’s the best boxing session locally. I’d like to do a special mention to Joanne Hill who was my partner for the session. She was great and so motivating during. I was scared I would be a bit rusty but once I got going it was great. I just wish my core was stronger for those bloody awful planks. It'll get there. The day after boxing was my session with Esther. Oh my, I can only apologise to the good people of Cheadle for the noises coming out of Esther’s gym. She pushed me so hard and we had a great session. Again, it was a full body workout with squats, lunges, shoulder presses, bicep curls, tricep dips, abs, which was no mean feat the morning following boxing. The weights went up from last week so I was being pushed to my absolute limits again. Yesterday was another session at Elite which involved once of the most evil things I’ve ever done (the day after squats). Squatting on the cross trainer while it’s going! OMG, try it. Do 1 min on, one min rest x 3 (do it going forwards then repeat going backwards). The only way I could describe how it felt was like my quads muscles were going to actually rip out of my legs, like the incredible hulk. I’ll sure if I hadn’t been doing squats the day before it wouldn’t have been SO bad. Anyhow, the rest of the session involved boxing, MORE SQUATS, MORE LUNGES (walking this time) and some core work. So today was the day I woke up and was like, noooooooooooo, I don’t want to go to the gym, I don’t want to do any exercises, I just want to eat cake, my belly looks fat, why is it looking like this when I’m working so hard, meh, I give up, meh, the traffic report says the the M56 is down to 1 lane and all routes nearby are effected and I need to go on the M62 to get to Esther's, so I’ll probably get stuck in traffic so I’m going to ring Esther and cancel todays session, MEH. Now, you have to understand that on the days that I am doing these sessions, it’s a lot of running around for me, and the commitment is massive. I have to pack bags the night before, get up in the morn get the kids ready, as soon as Izzy in nursery I have to get Adam to my mums, then drive to Cheadle (for Esther’s sessions) or Wigan for other sessions. I also have other things I need to be at, for example on Thursdays I have Waterbabies with Adam at 12 so I have to get my session in with Esther before then. I’m literally running around like a headless chicken. (In a way, I suppose it's practice for my return to work when headless chicken is a permanent thing). So, I got to Esther today and walked in and was like a moody teenager. She took one look and was like COME ON, let’s get out for a quick run as a warm up, get some Vitamin D from the sun (yes, it was sunny) and get cracking! So I dragged my bottom lip along the floor and went for a run. Esther pep talked me and got me motivated for the session, something I did not think would happen. Five mins in I was loving but hating her in equal measure as the full body workout happened again, and yes, that include MORE SQUATS AND MORE LUNGES, (reverse lunges OFF A STEP, WITH HEAVY WEIGHTS (my legs, my legs!)). When I talked my demotivation through with Esther, we realised that it’s not getting started that is hard, it’s the second week (and probably beyond that too) when the lethargy is starting to kick in from the new sessions, the euphoria from starting something new has subsided and you also aren’t seeing results as quick as you'd like. You then start to question what you are doing and things like, f*ck it, I’ll eat this or, I won’t do this session starts to creep in. DON'T GIVE IN!!! This is where, as cliché as this is going to sound, a personal trainer comes in. We can all do workouts and know what we need to do, but a personal trainer can push you further than you can go on your own, and on days like today (when I’ll be really honest, I was SO close to cancelling and in such a bad, grumpy mood) Esther managed to pull me round and we actually ended up having a great session, which I felt fab for afterwards (well, if fab means sore, obviously). Now then, pictures. Meh. After the change last week, this weeks don’t look to me like there is progress, which I find unfair after everything I’ve done. But what does it say on my background… It takes 4 weeks for you to notice, 8 weeks for family and friends and 12 weeks for everybody else. So I will take solace in that. Have a peek..